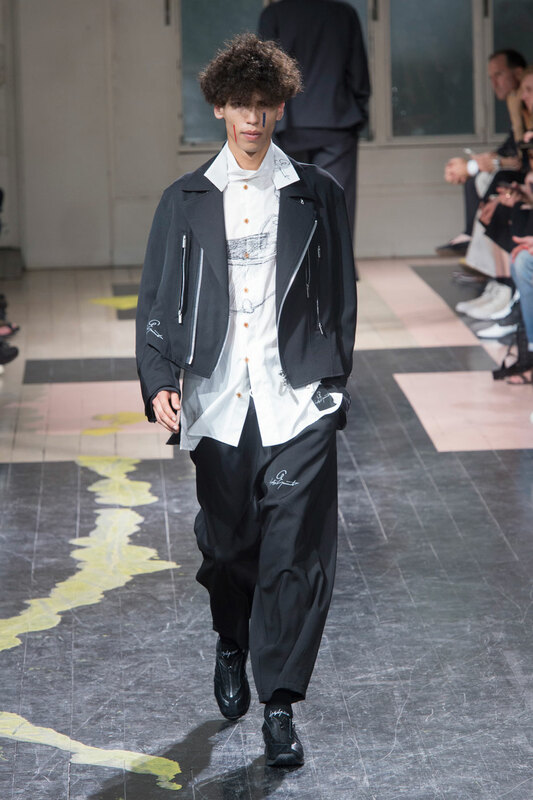 On viewing the collection Yamamoto makes different references in his collection; the styling of the waist coats, braces, ivy caps and wide legged trousers holds reverence towards to the Victorian Period. 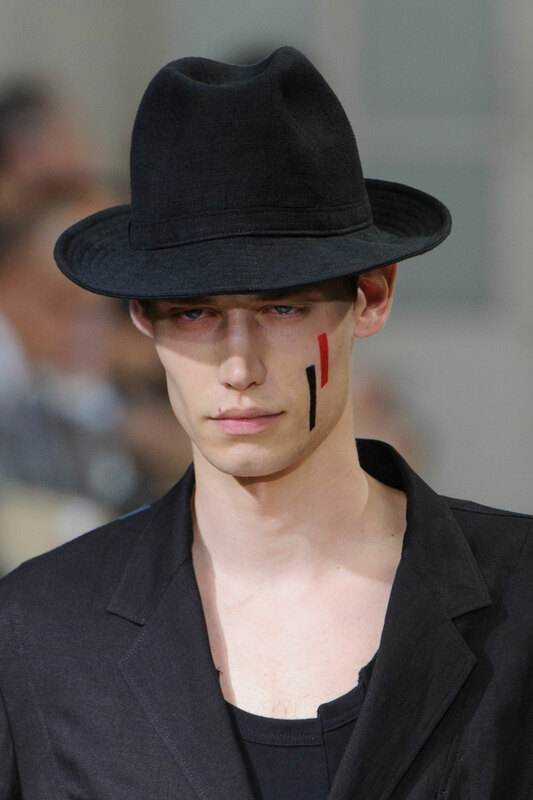 Whereas the oversized suit jackets and variation of hats from homburg to fedora reflect the 1940’s. 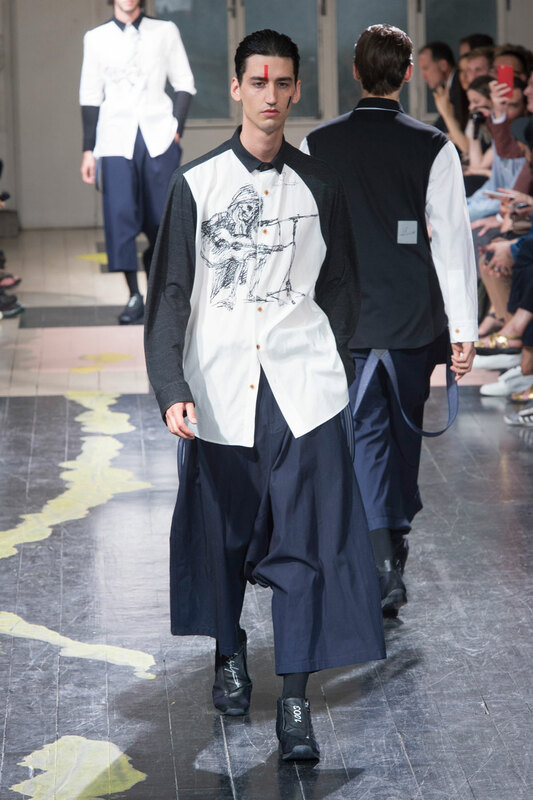 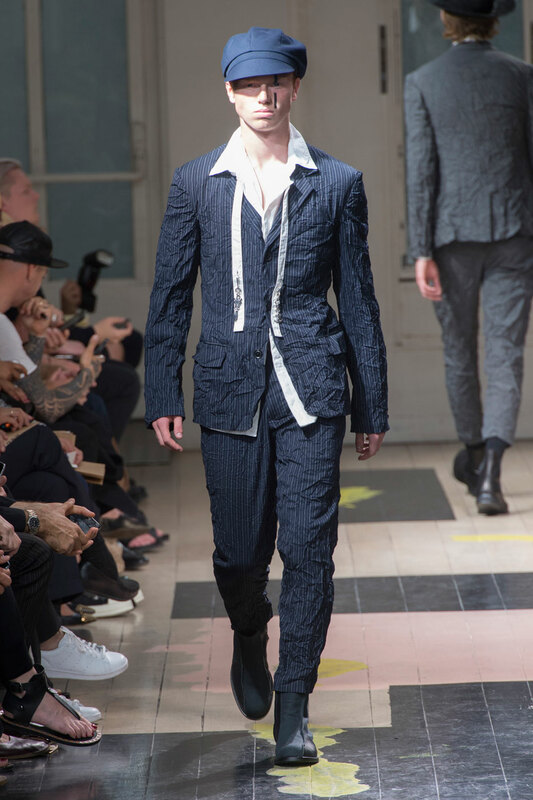 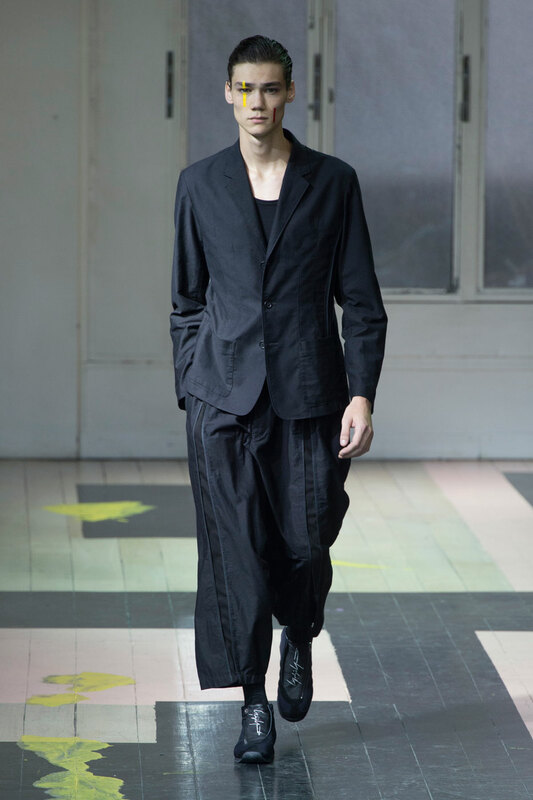 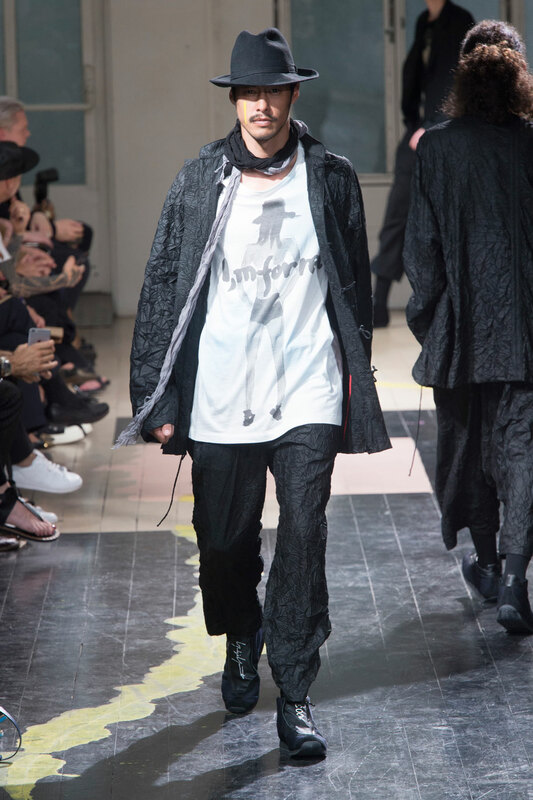 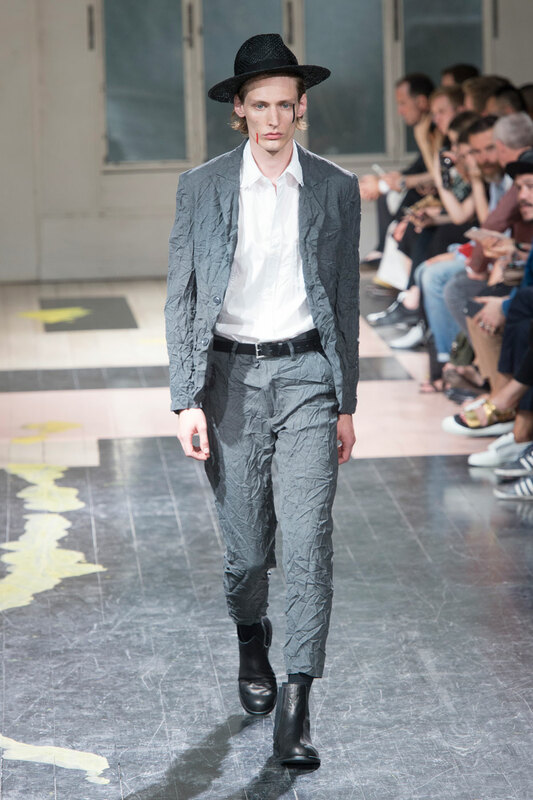 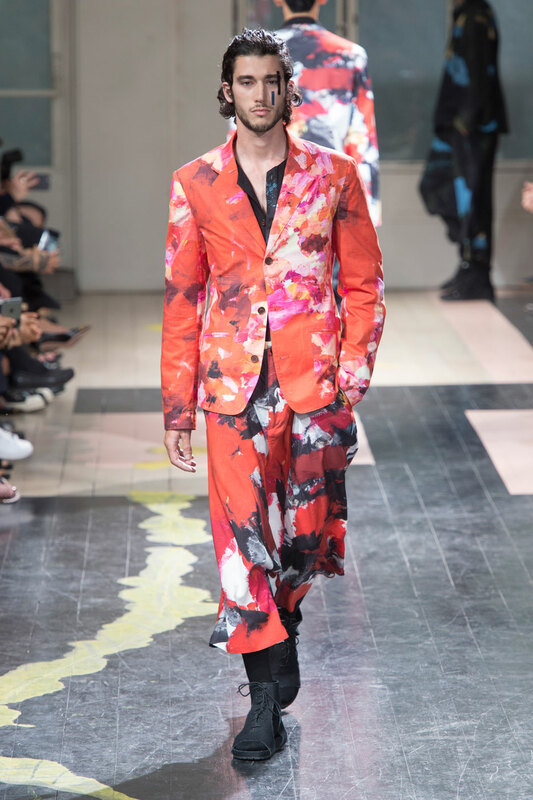 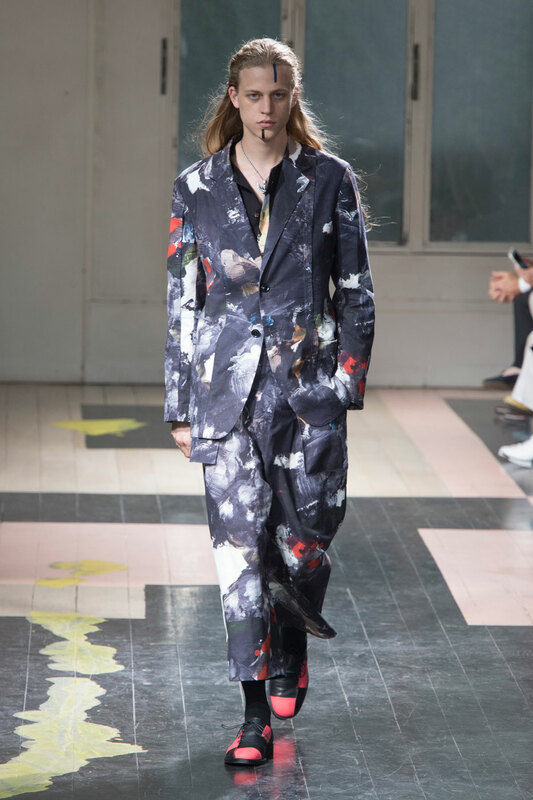 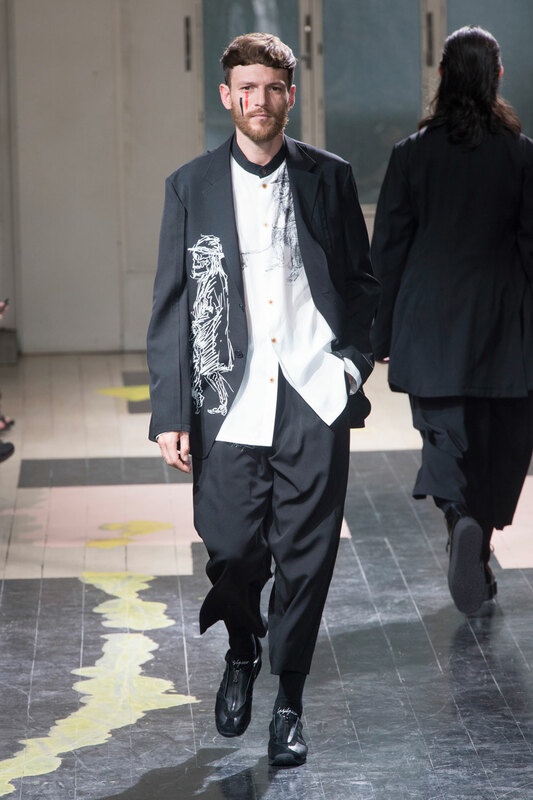 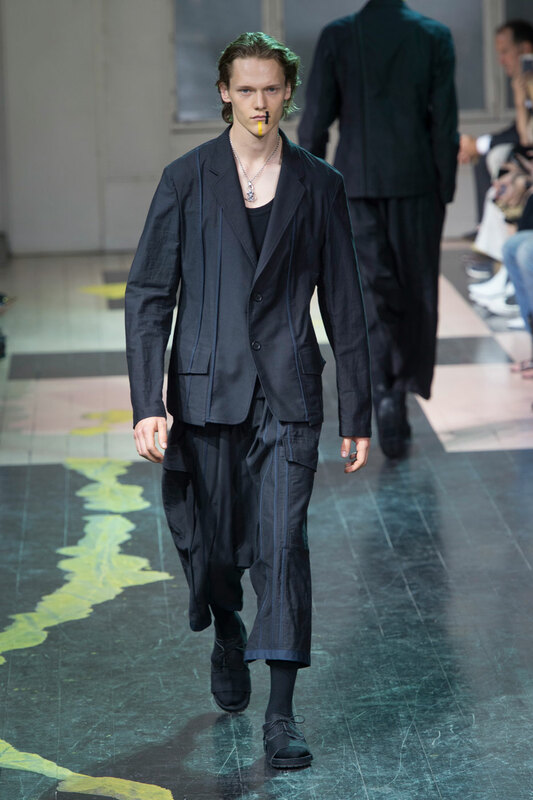 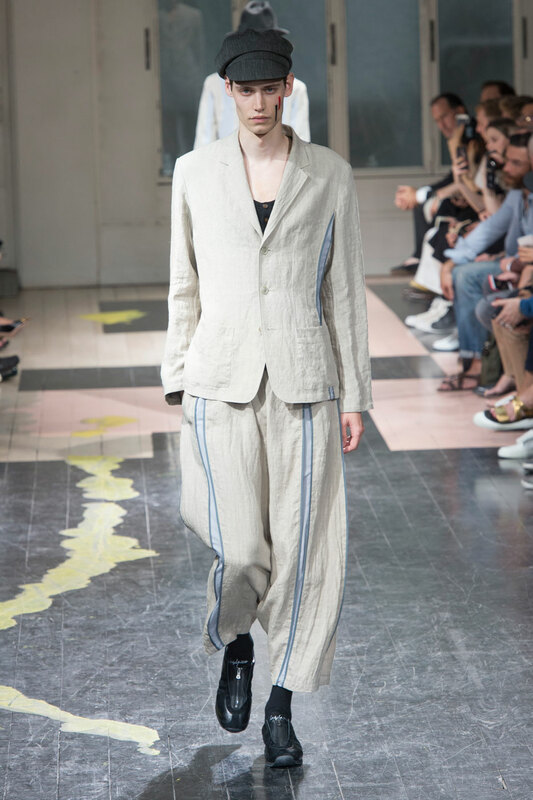 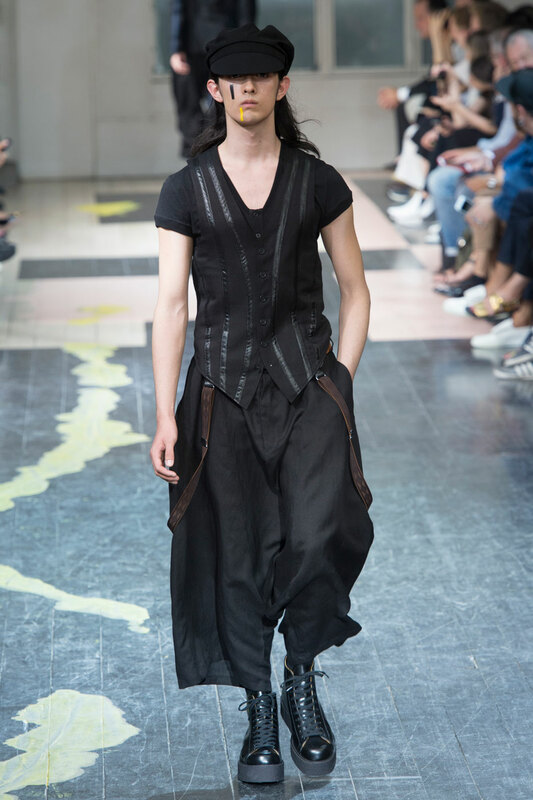 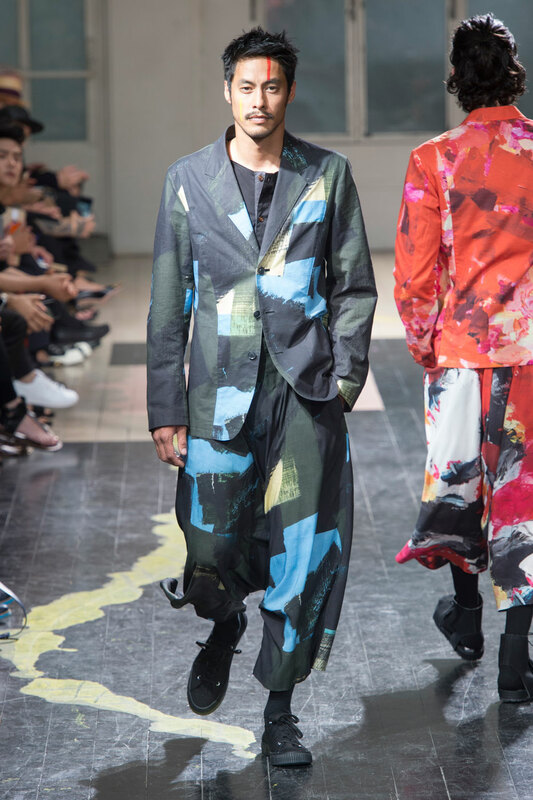 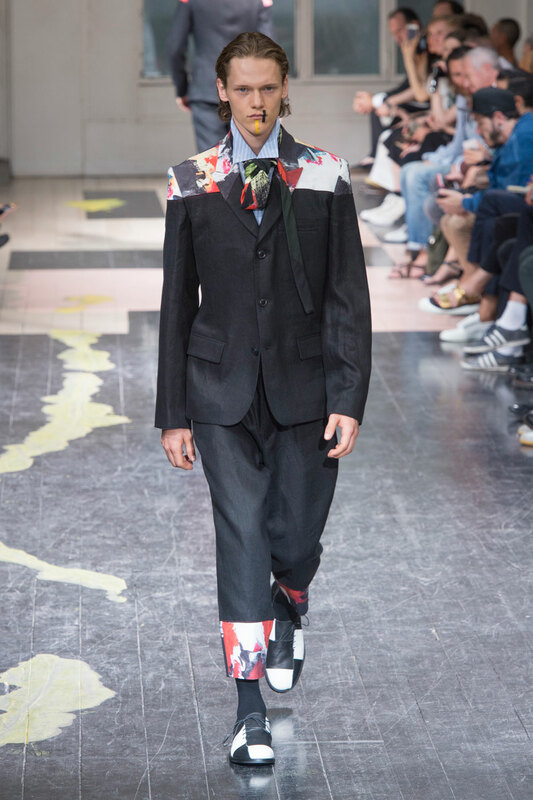 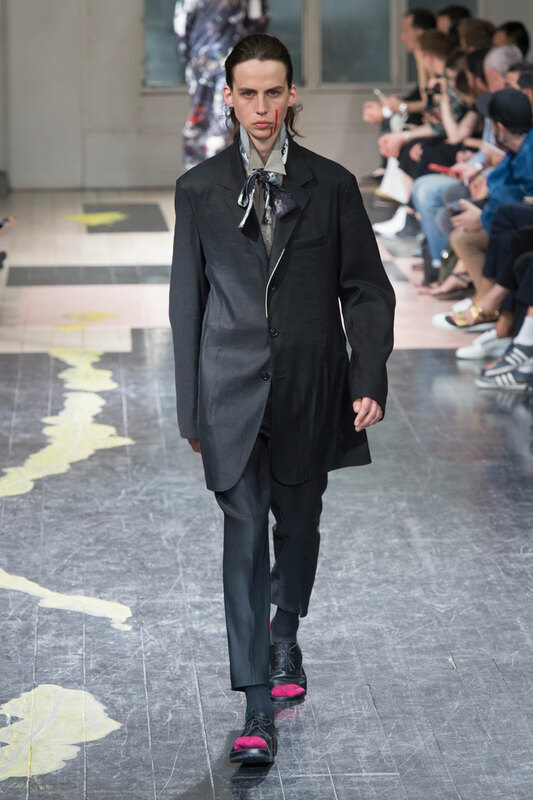 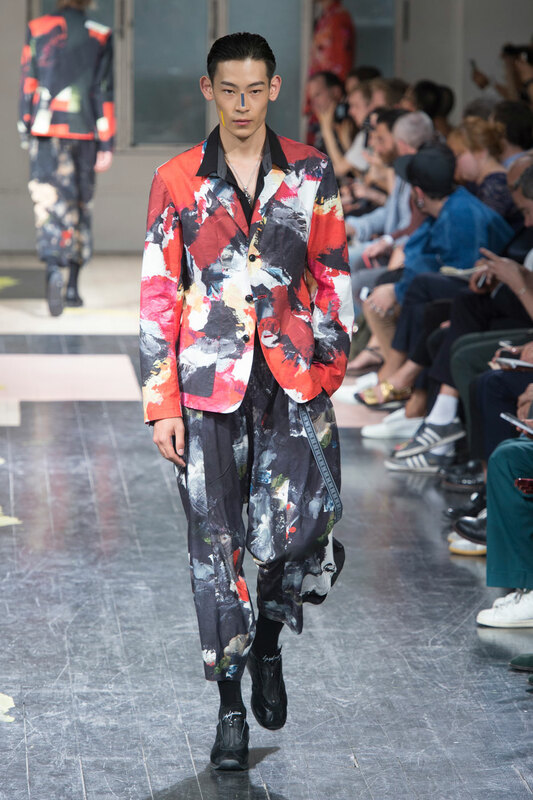 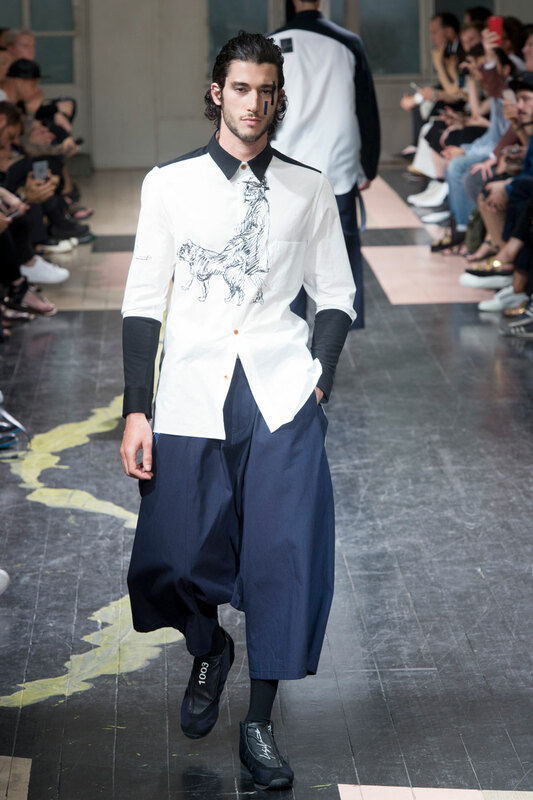 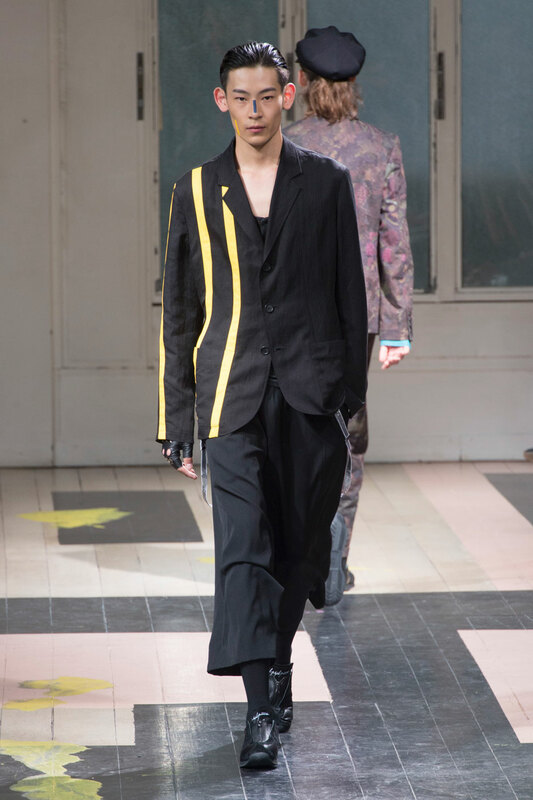 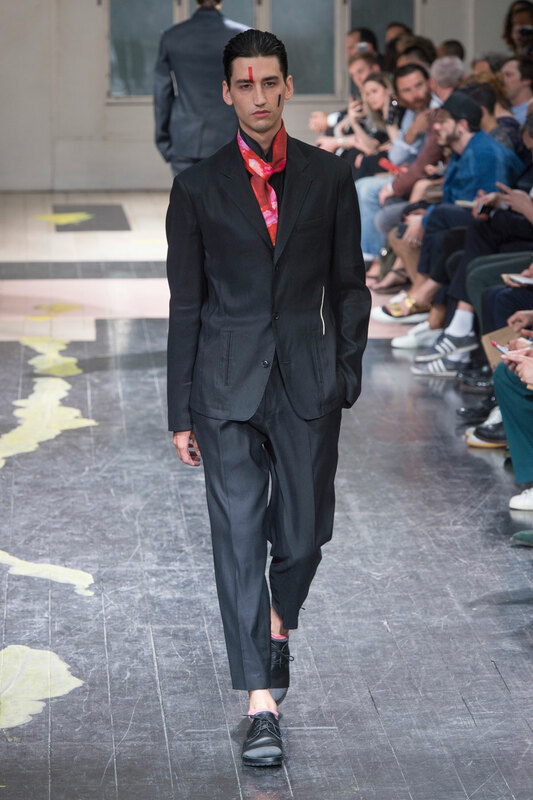 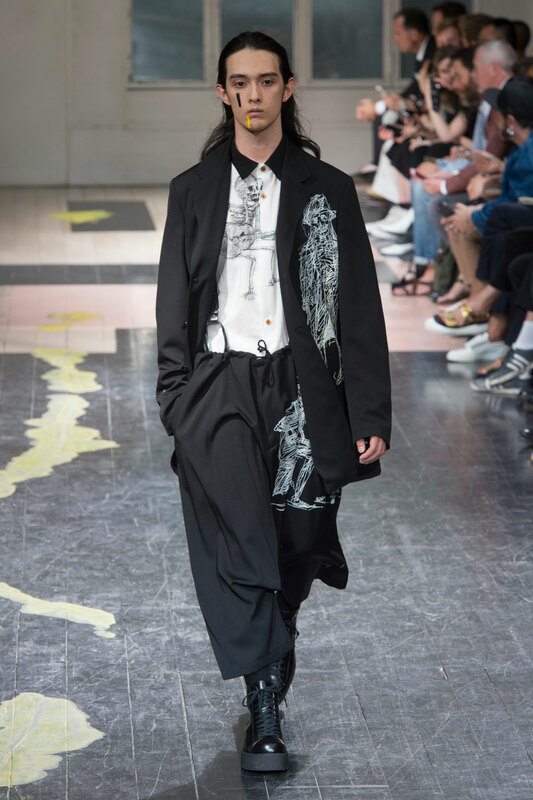 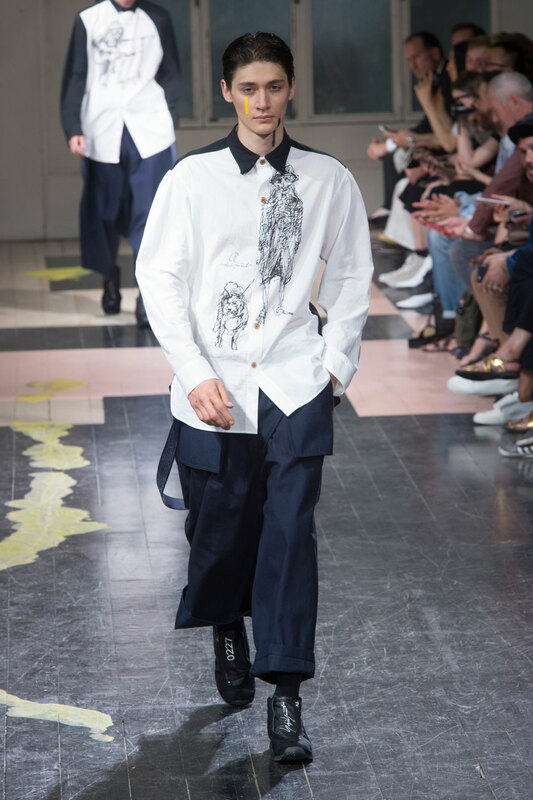 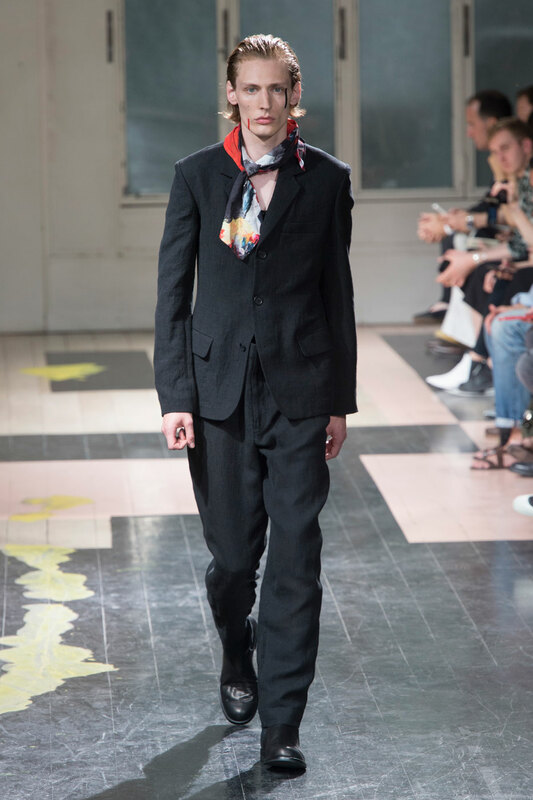 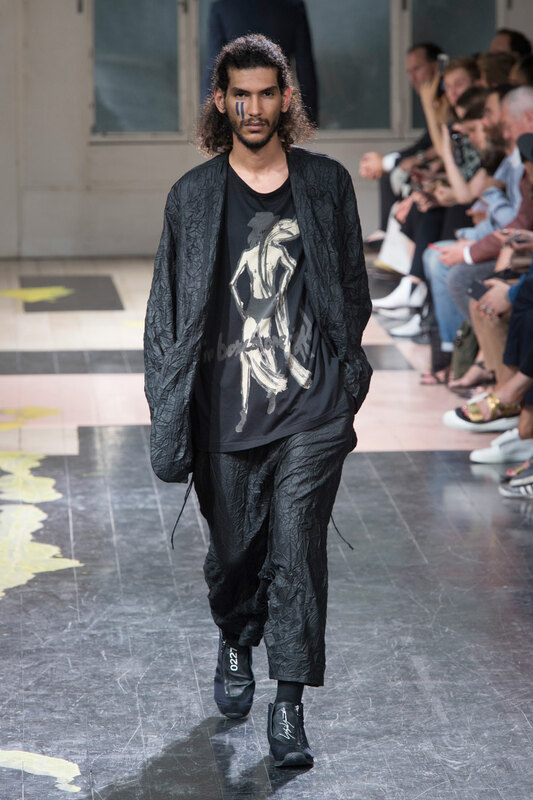 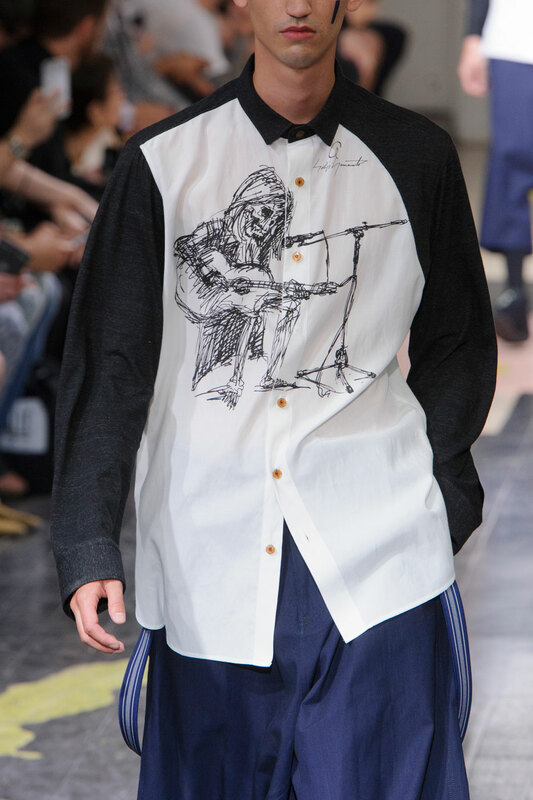 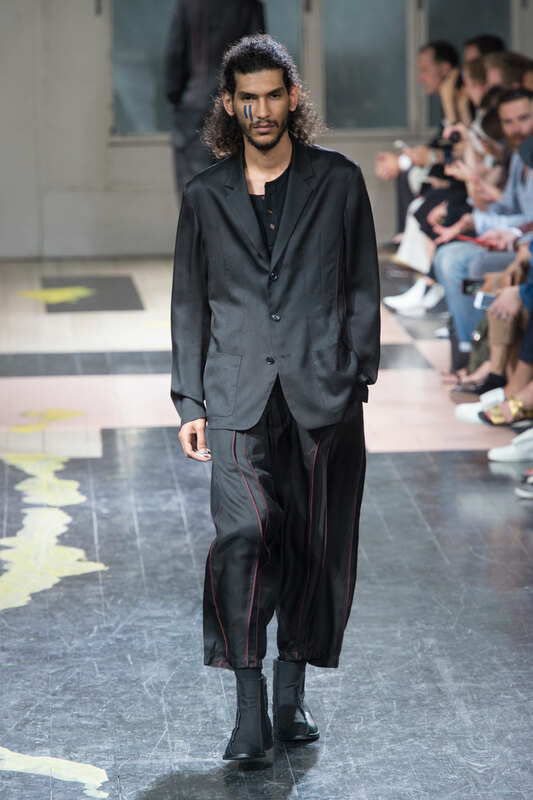 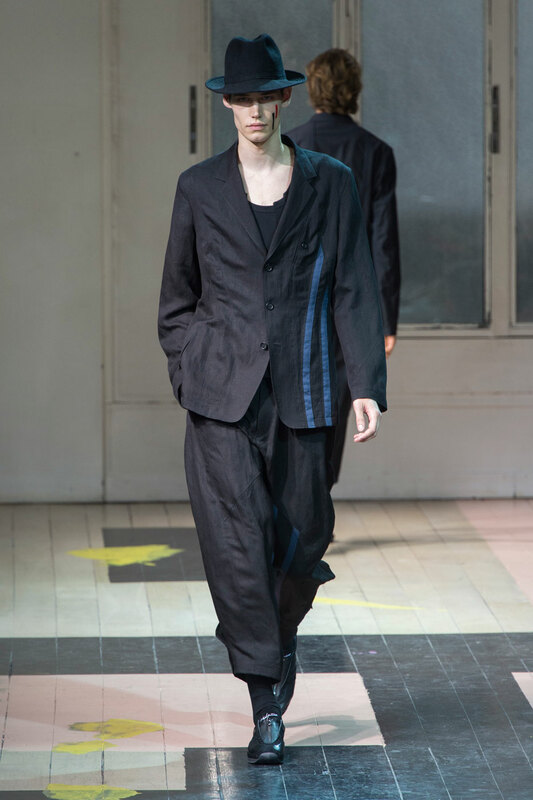 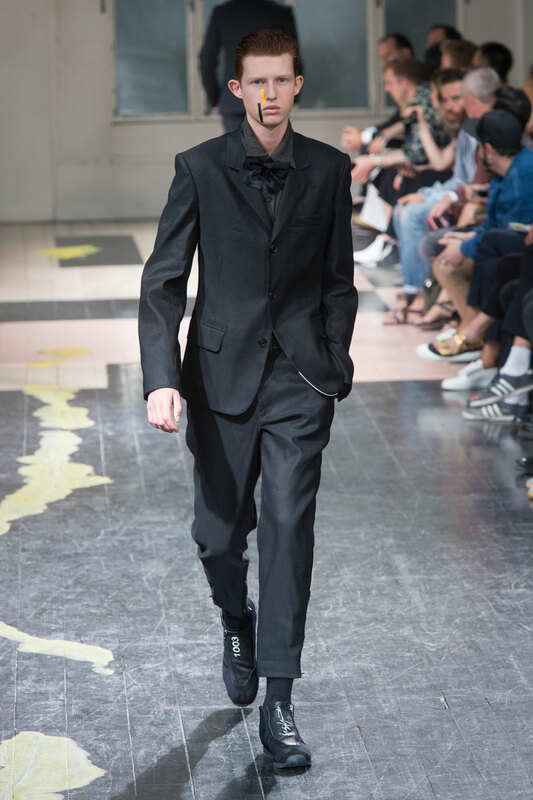 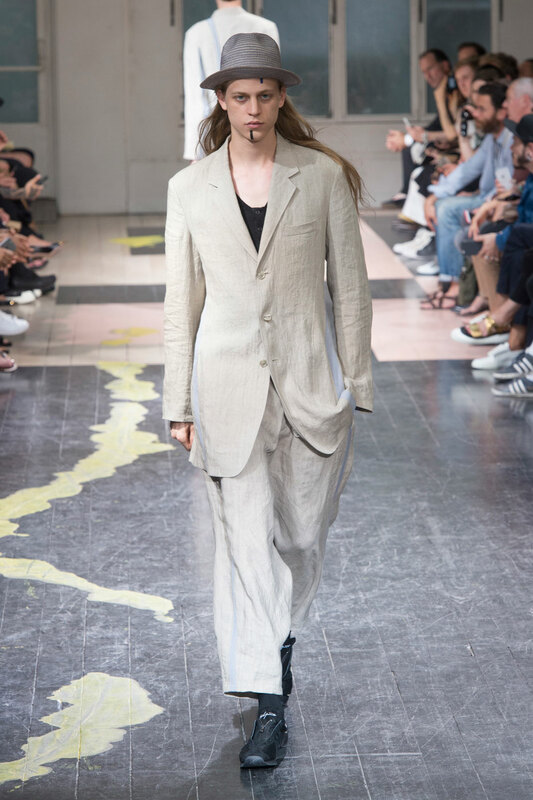 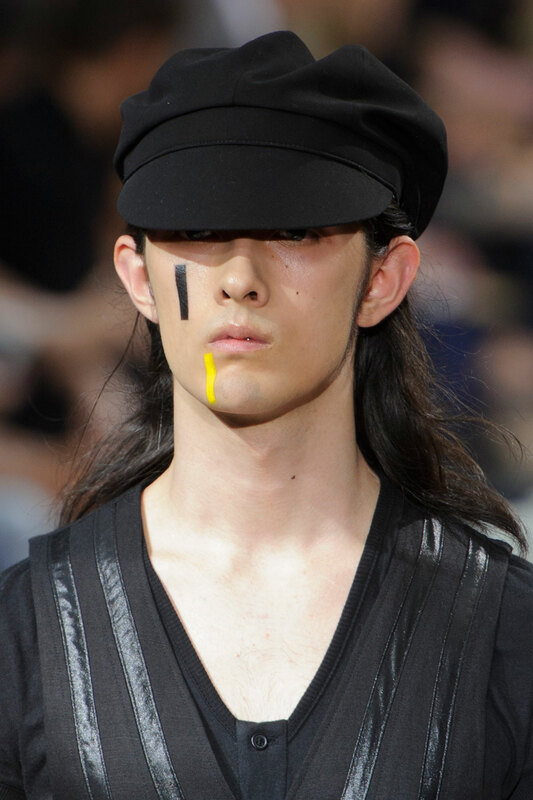 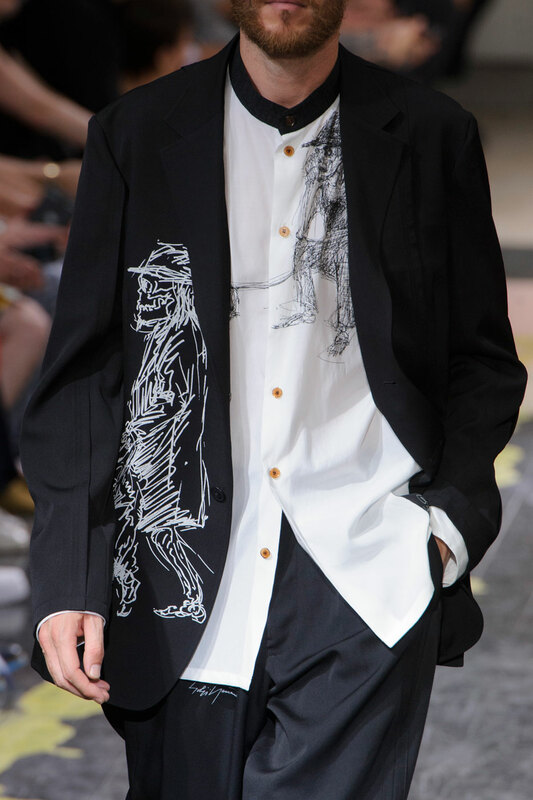 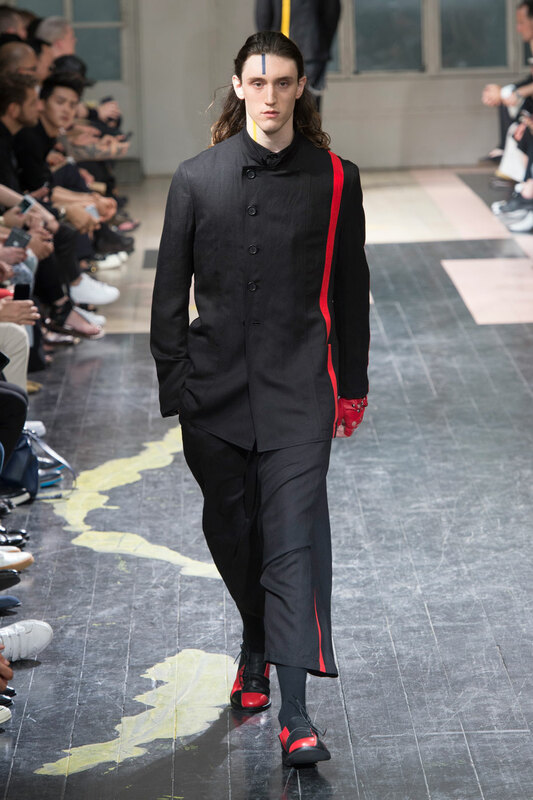 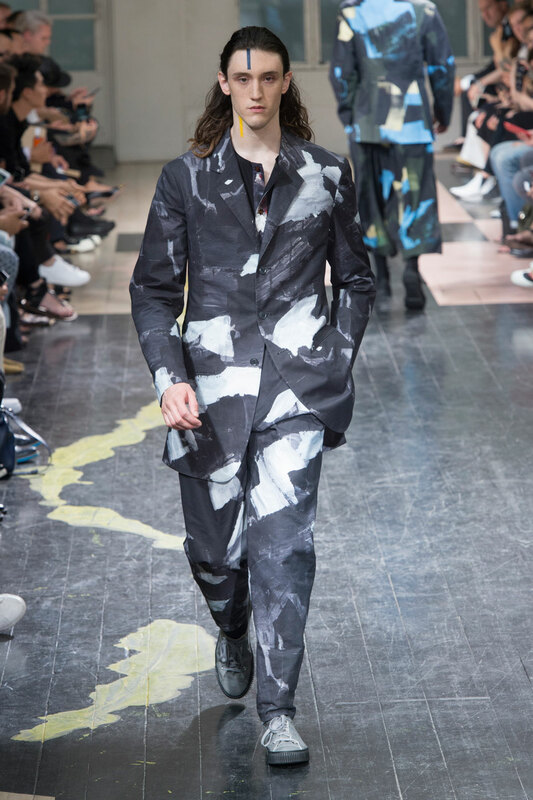 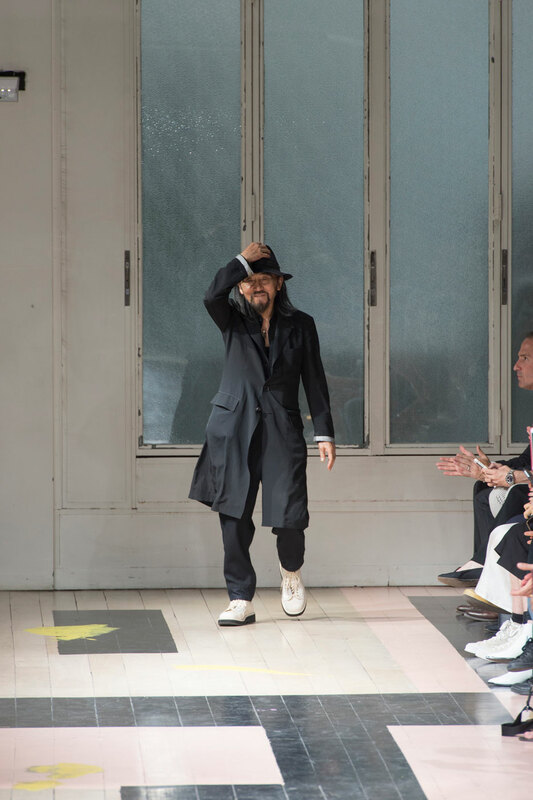 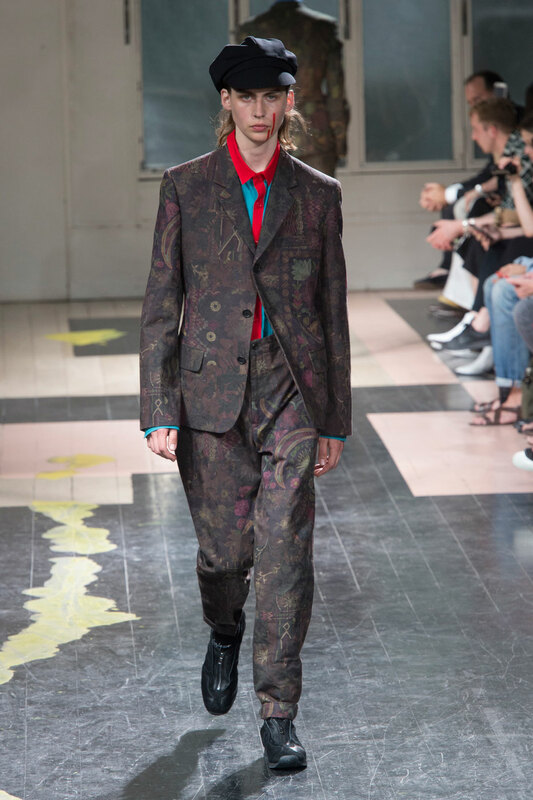 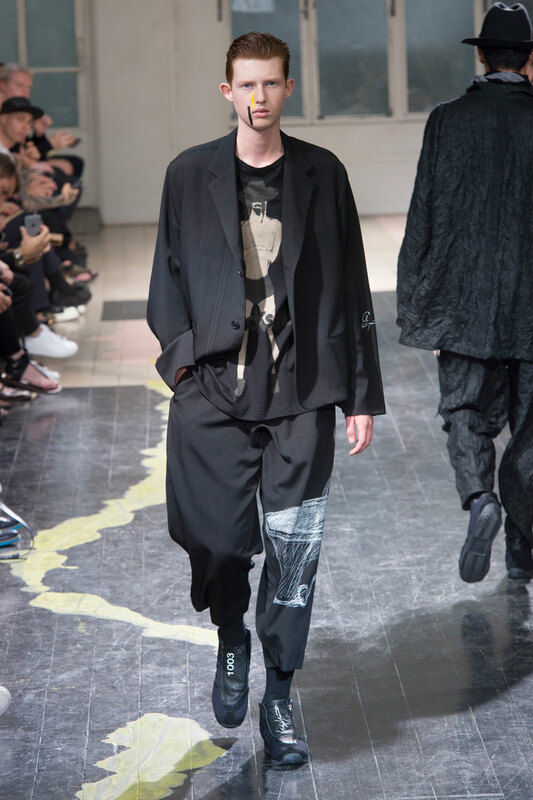 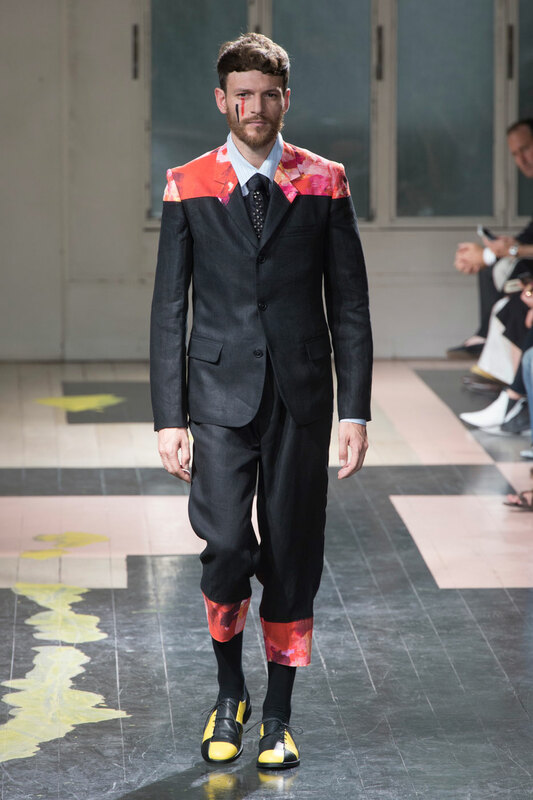 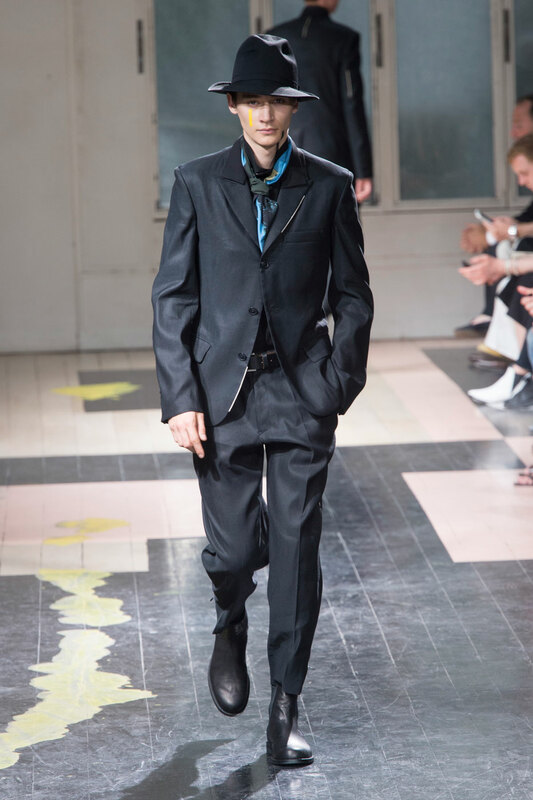 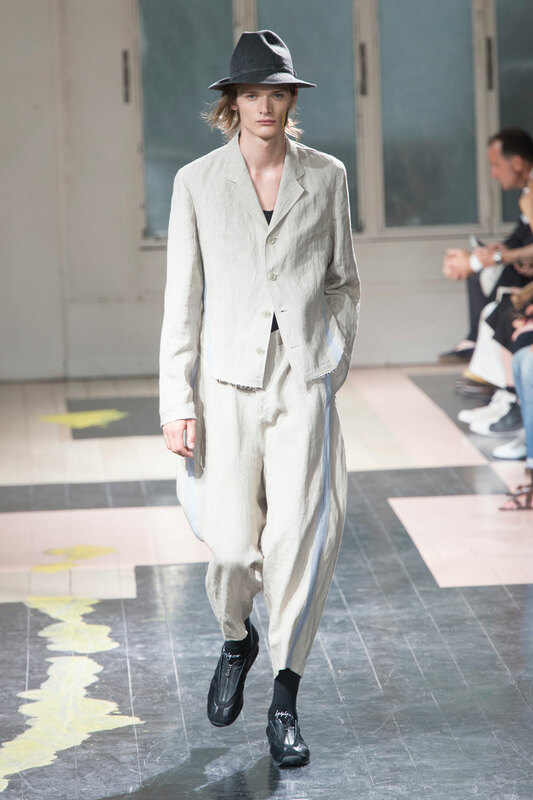 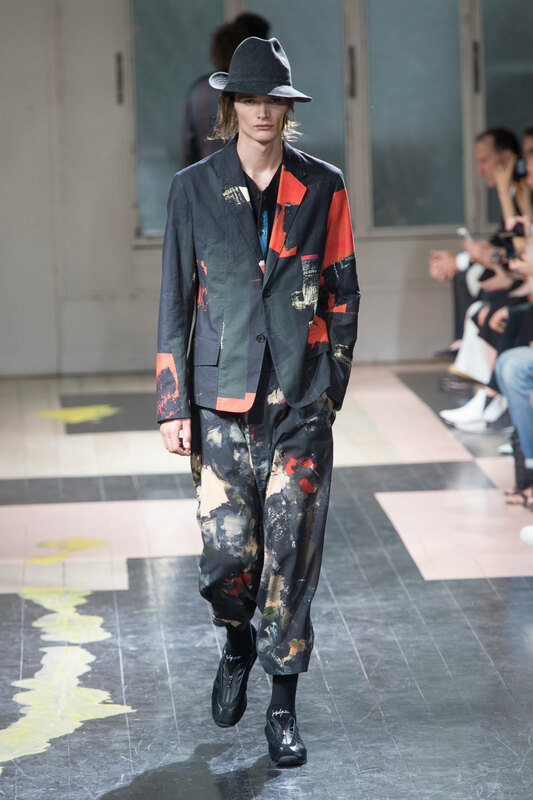 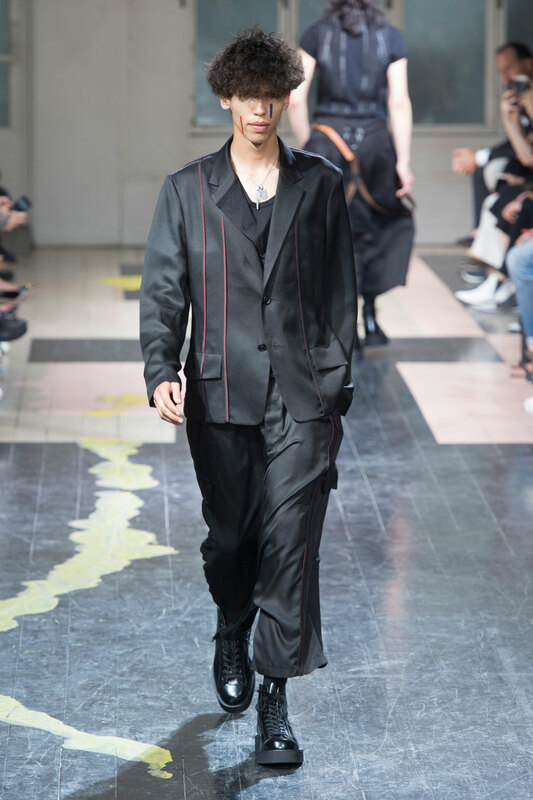 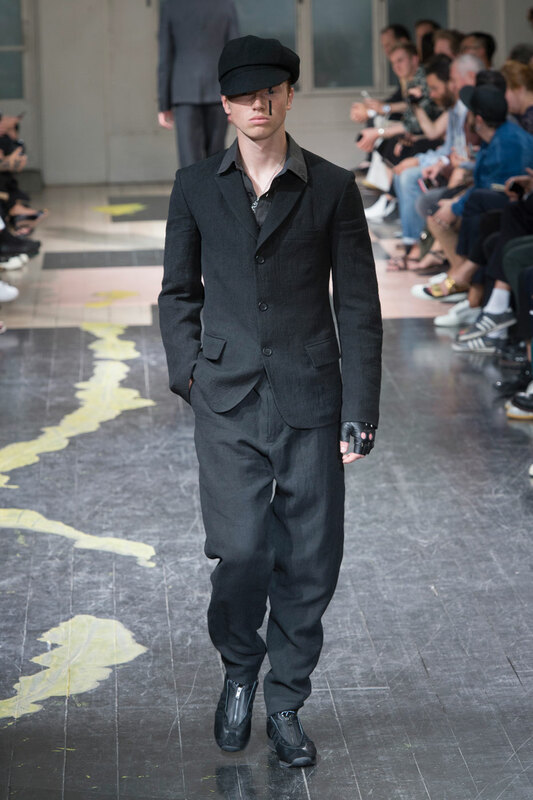 The use of piping is continual during the collection; Yamamoto deems it that important the models have the piping printed on their faces, as well as on the trousers, waist coats, and jackets. 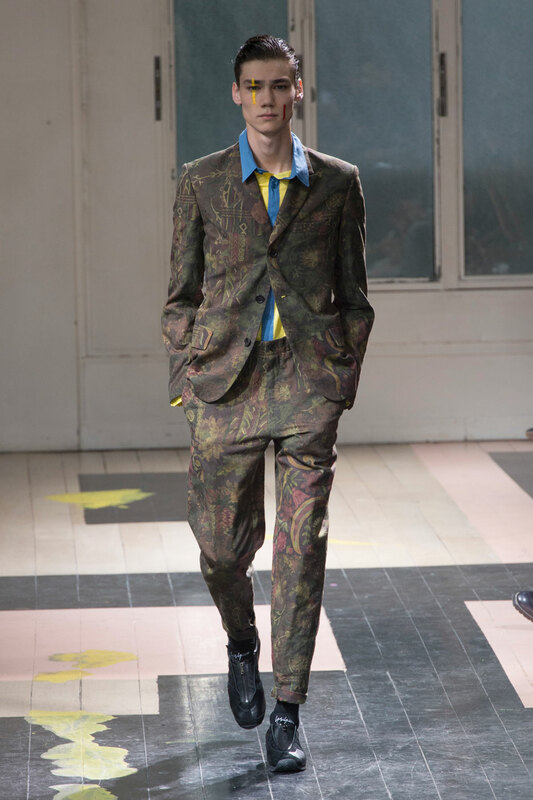 The piping can be both subtle and bold, depending on the colours used. 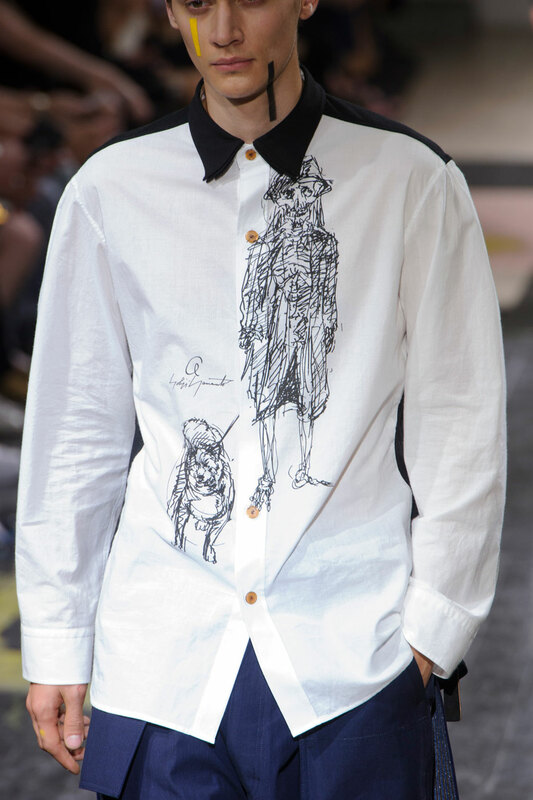 Towards the end of the collection the pieces begin to demonstrate some sketched images, in black or white. 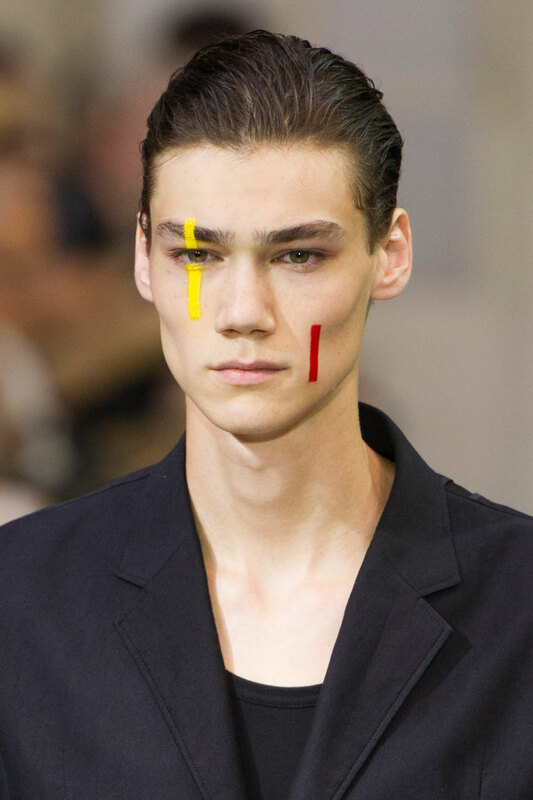 The contrast of the two opposing colours draws immediate attention to the obscure illustrations.